Pulse oximeters are the quickest and easiest ways to gather information about a patients blood oxygen levels before being seen by a physician. 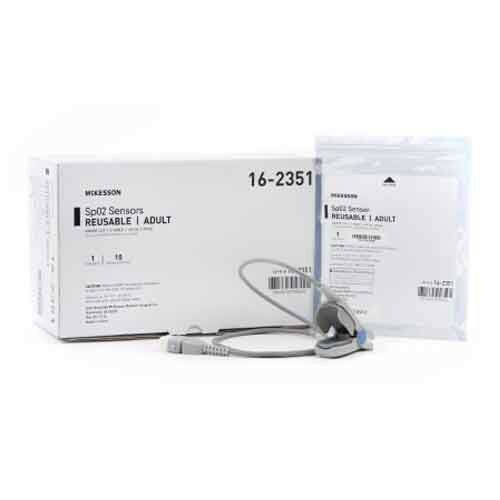 The Adult Reusable Pulse Oximeter Finger Sensor by McKesson makes the process quick, easy, and completely painless for the patient. The Pulse Oximeter is able to accurately measure blood oxygen levels before being seen by the doctor. The three-foot cable makes it easier to access. The reusable finger clip adds little pressure, making the process completely painless. This product is able to handle any patient over 66 pounds (30 kilograms). It's also latex-free.